Breaking news: BOMA/Chicago shattered records in 2012 by almost doubling the amount of food collected from the previous year, increasing participation by more than 30 members and launching enhanced marketing resources! 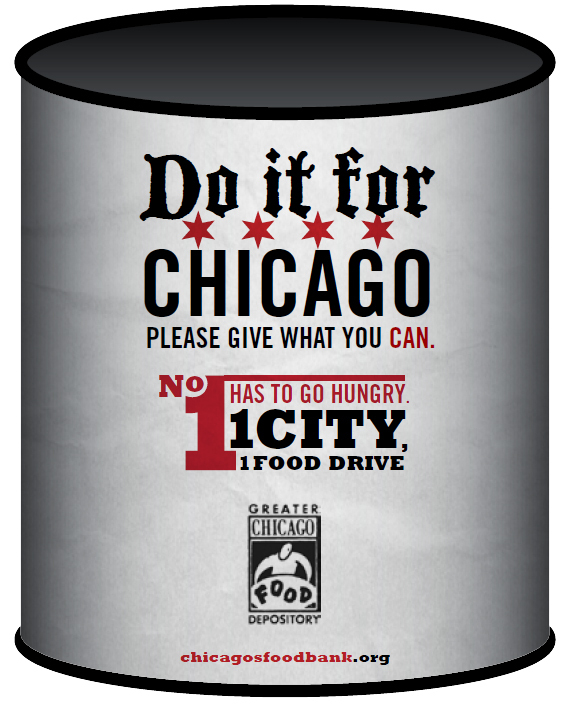 I’m referring to the outstanding contributions of the 151 BOMA/Chicago Building and Affiliate members that participated in the annual Holiday Food Drive held in conjunction with the Greater Chicago Food Depository (GCFD). The program, which started four years ago, demonstrates the collective strength of the BOMA/Chicago member network and offers our members a tangible way help those in need during the holiday season. Participating BOMA/Chicago member buildings displayed these types of barrels to collect food. To get a better understanding of the food drive, our committee met in early fall with a project manager from the GCFD. We wanted to learn firsthand about available tools and resources, logistics, collection capabilities of the GCFD, marketing messages that worked in the past and other factors. We also needed to know which member buildings have participated in the three previous drives, and just how much food they collected. With that knowledge in hand, we formed a task force to analyze what we learned and came up with a strategy to enlist more buildings to agree to host a collection barrel for the 2012 drive. We determined that a personal approach would yield the best results. Our key tactic was to have task force members make personal calls to property managers from buildings that have not participated in the drive in the past. Our “ambassadors” drove home the messages that participation was relatively seamless for properties, and that it was a good thing to do for the community. This simple, but effective effort — having conversations with peers — really helped encourage greater participation and led to our record-setting results. The Diversity & Corporate Social Responsibility Committee also organizes the annual Diversity Celebration. 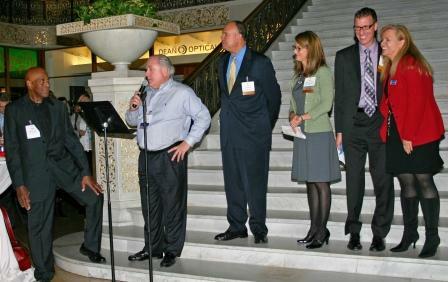 This image was taken at the October 2011 Diversity Celebration, held in the Light Court at The Rookery. Looking ahead to the 2013 drive, we plan to incorporate key learnings from previous years to collect more food. Our goal is to encourage repeat participation by registering the same number of participants while increasing donations. The strategy is to get those that register to focus on tactics that will increase their collection numbers. We’ll publish a follow-up post in the next few weeks with a blueprint for the 2013 drive. According to the GCFD, one in six people are “food insecure” in Cook County, meaning they don’t know when or where their next meal will come from. Clearly, there will always be a need to help feed those in need. Has your company or organization had success with a food drive or other type of collection drive? Please share your insight and strategies. This entry was posted in BOMA/Chicago Events, Chicago CRE industry and philanthropy, Philanthropic Outreach and tagged BOMA/Chicago, BOMA/Chicago buildings, BOMA/Chicago Diversity & Corporate Social Responsibility Committee, BOMA/Chicago member network, GCFD, Greater Chicago Food Depository (GCFD), holiday food drive, more than 90 percent increase over 2011 totals, one in six people are “food insecure” in Cook County, the 151 BOMA/Chicago Building and Affiliate members, Wally Kruce. Bookmark the permalink.